FAVI Entertainment's mission is to provide its customers with a world class entertainment experience through its unique line of products and industry leading after-sale support. Whether it be one of the world's smallest projectors that fits in the palm of your hand, or the FAVI White LCD TV series selected by top interior designers as their TV of choice, or a 180 inch projection screen that lowers from your ceiling with the touch of a button, FAVI has you covered for all your home and professional entertainment needs. The L3226EA2 features full 1080p resolution, multiple digital and analog inputs, and a sleek efficient design making it suitable for home theater use. 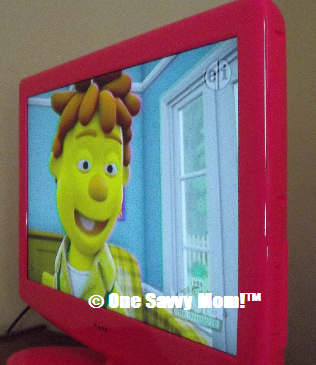 TV shows, movies, and video games are displayed in rich, stunning detail with lifelike vibrant color! Digital ATSC tuner, with Clear QAM and NTSC support. When it comes to interior design options for our home, I prefer for the choices to extend into every aspect of design (which includes our electronics). The sleek design and vibrant pops of color available in FAVI Entertainment's line of LCD HDTV's allow for both an incredible viewing experience and customized style options (just LOOK at the beautiful color choices). 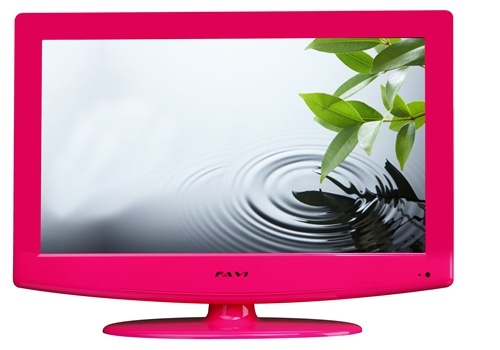 FAVI Entertainment's 32" Pink LCD HDTV is quite the conversation piece. Not only does it offer a vivid 32" LCD screen (the gorgeous picture remains crisp at every angle), the exceptional design is just as eye-catching! FAVI hasn't missed a single detail! Adding to the cheerful pink pop of color on the frame, are some of the additional clever design features. The speakers are located on the bottom of the fame (completely hidden) and the input panel is located on the back which makes for a sleek, virtually seamless design. While the on-board control panel is easily accessible on the side- all other functions are pleasantly hidden (making this unit ideal for wall mounting- though a matching pedestal stand is also included). FAVI's L3226EA2 is perfect for family home entertainment. 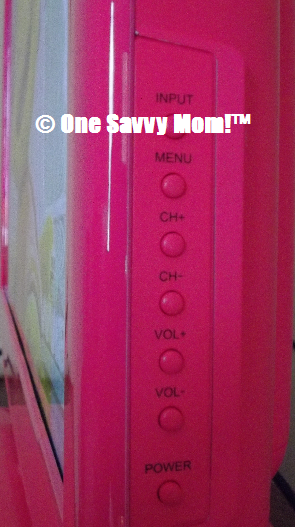 Whether your hooking up multiple devices (DVD Player, Blu-ray Player, Gaming System etc.) 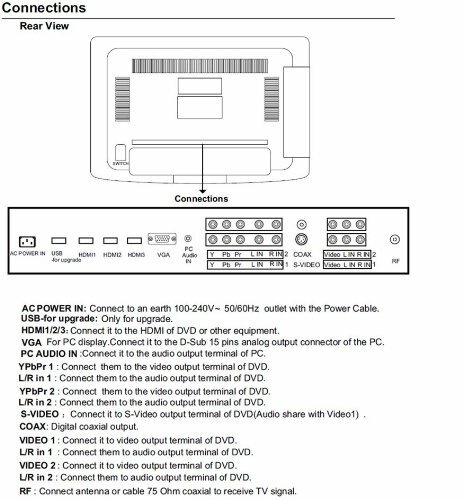 or connecting a home theater system, this unit offers a TON of on-board input options (see above image). All of your equipment can easily be connected at the same time, without the hassle of additional adapters! FAVI Entertainment's LCD HDTV line offers up clever sleek design and customized color options to suit every individuals style preferences. What are you waiting for? 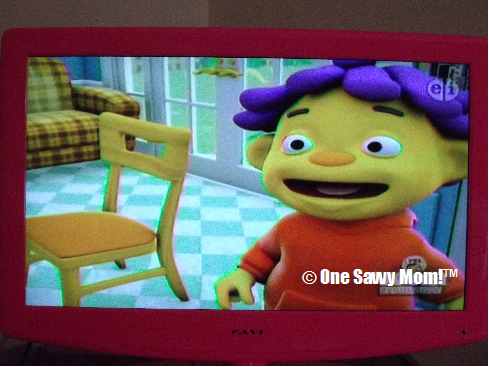 Customize your viewing experience with FAVI Entertainment! You can find FAVI Entertainment's L3226EA2 and the other FAVI products mentioned at http://www.favientertainment.com/ . These products are also available at select retailer's.